When it comes to describing what makes Old Chicago Pizza & Taproom the restaurant investment of choice, franchisee Amro Samy sums up the brand’s competitive edge best. “Ingenuity,” says Samy, an Old Chicago franchisee since 2012, who operates five restaurants in Kansas. With more than 100 Old Chicago restaurants and growing nationwide, the popular concept—backed by the muscle of parent Craftworks Holdings with over 390 restaurants across 40 states—is making its innovative presence known as an industry leader and a top spot for customer loyalty. Old Chicago specializes in craveable signature hand-crafted pizzas and famous taproom shareables served up as a local neighborhood restaurant. As the Craft Beer Authority, each Old Chicago restaurant boasts a selection of more than 90 craft beers and an onsite beer expert to help guests pick out the perfect pint. Old Chicago’s franchisees are bullish on the brand that projects to open 50 new locations in the next four years. Franchisee Dhruv (Drew) Patel recently celebrated the opening of his first Old Chicago—and the first location for the brand in the state of Georgia. The restaurant, located in Columbus, Georgia, is part of an area development agreement that includes plans for four more restaurants in Georgia and Alabama. Founded in 1976, the brand’s winning recipe for franchising includes easy-to-integrate programs and access to all the data and clear metrics an operator needs to keep guests coming back and succeed in business. Both Patel and Samy credit the franchise system for stellar ongoing support every step of the way, including operations, training marketing, construction, and real estate. For franchisees like Patel, being part of the Old Chicago brand means being big-hearted. 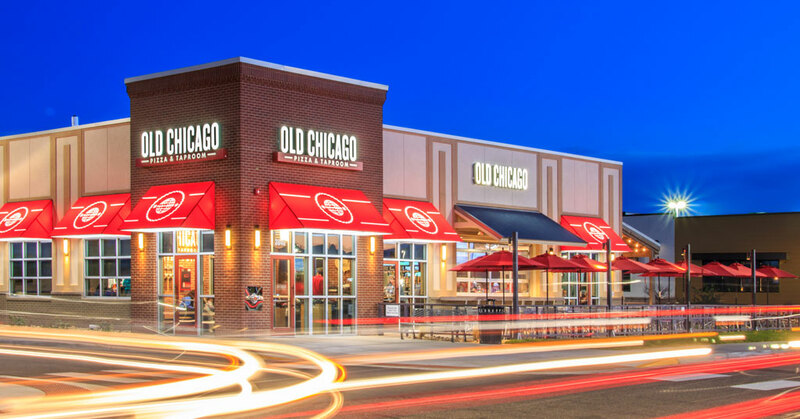 Community commitment is a staple of the Old Chicago franchise blueprint, where each store opening includes events that benefit local philanthropy. In October, Patel’s Columbus Park Crossing restaurant partnered with Ronald McDonald House Charities of West Georgia for two-days of pre-opening fundraising. All proceeds raised over the soft opening– totaling more than $10,000 –were donated to the local nonprofit, which helps support and keep families with critically ill or injured children together, when they are in the hospital.